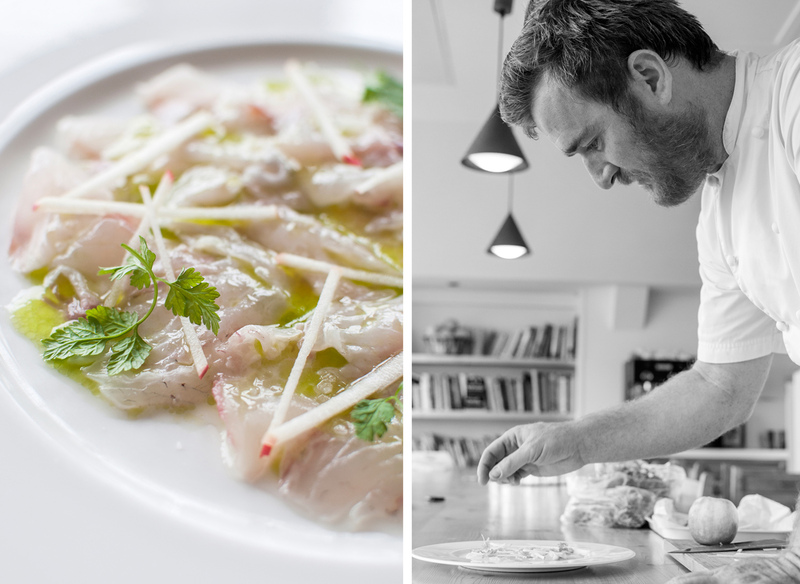 Working with Cornwall Food & Drink on this project took us on a very fishy trip around Cornwall. 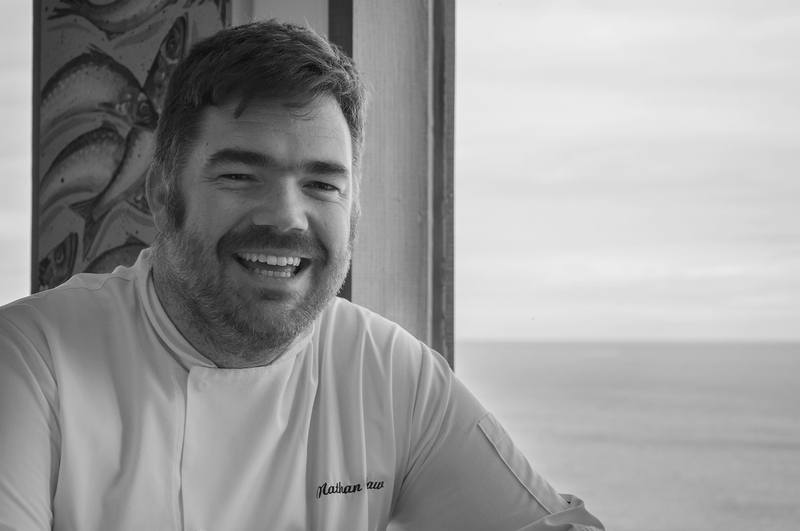 It was a truly lovely experience and a privilege to meet and work with some of Cornwall's best chefs and fishermen and to learn along the way about Cornwall's fishing heritage and it's importance today. 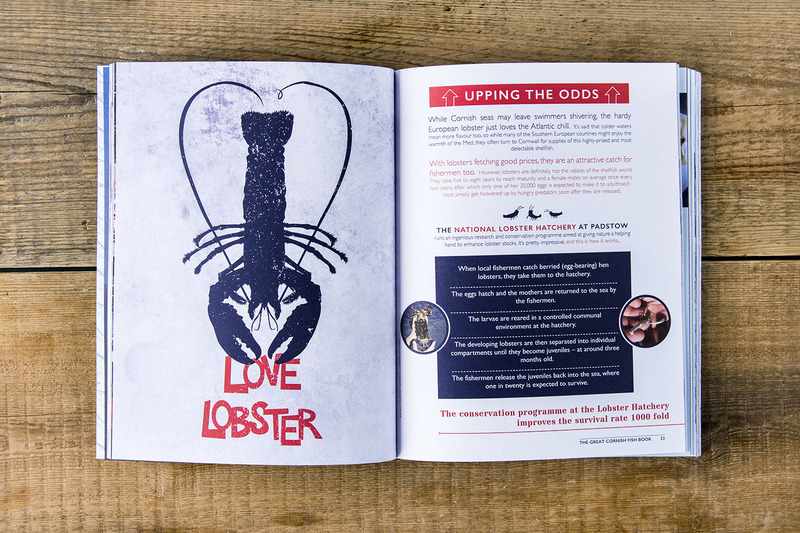 We worked with Ruth Huxley and her team at Cornwall Food & Drink, producing the design, photography and illustration for the 168 page book. 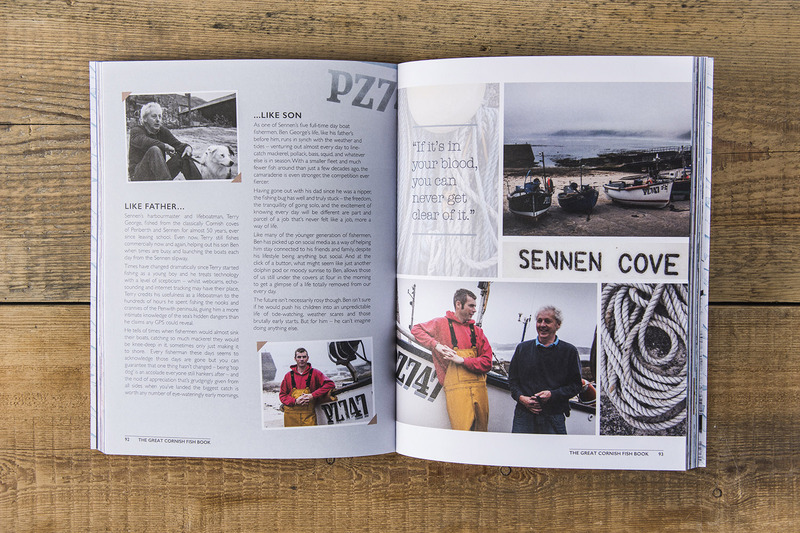 With some lovely illustrations from Heather Allen and additional photography from Sean Gee and Kate Whitaker we pieced the book together, using a lot of our own original photography from around the Cornish coast. Travelling from Restaurant Nathan Outlaw in Port Isaac to Ben Tunnicliffe in Sennen and many points inbetween including Jack Stein at The Seafood Restaurant, oysters on the Helford, smoked fish at Philleigh Way, gill netting off Newlyn and chips in St Agnes, it's been an interesting, varied and inspiring time taking in the incredible seafood being served up in Cornwall today. 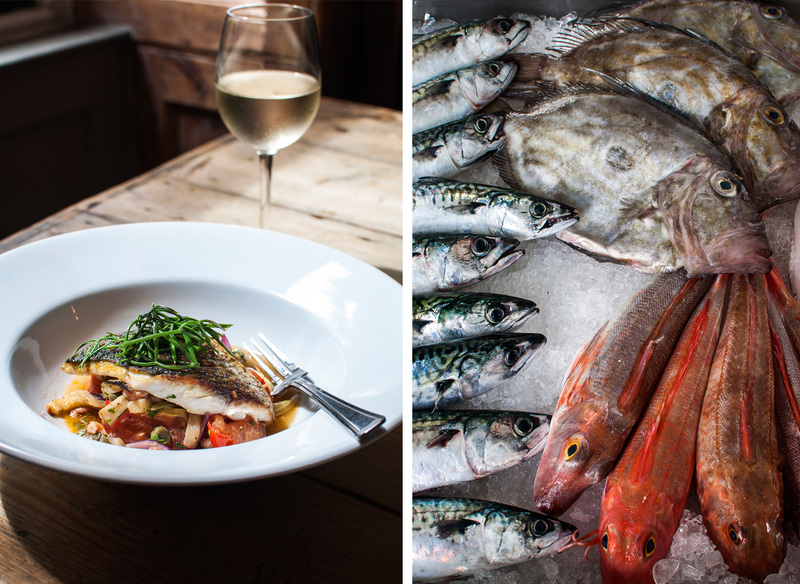 Such a pleasure to work on this project with Cornwall Food & Drink. Producing a book is like having a baby. However much you nurture it along the way, you never know how it’s going to turn out until it arrives. But choosing the right partner makes all the difference! 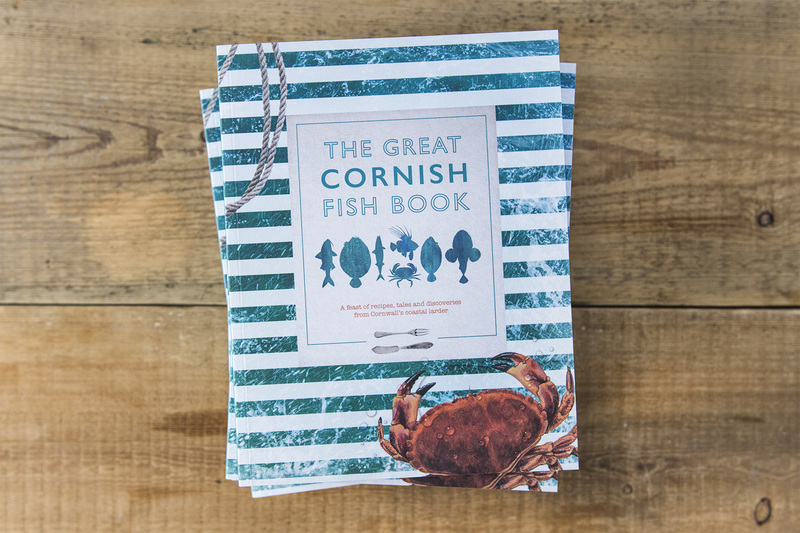 The Great Cornish Fish Book is our second baby, and we wanted it to be at least as good as our award-winning first, obviously part of the same family, but different enough to have its own personality. A tall order, and one that caused me more angst than anyone will ever know. Emma and Sal at Design Room Cornwall ‘got’ that from the start and absolutely nailed the brief we gave them. By the end of the project we had developed a really productive partnership, working to each other’s strengths almost intuitively. Being calm, methodical and patient as well as creative is a rare skill, which these two lovely ladies possess - in spades. We’ve loved working with them and are very proud of our new baby. Ruth Huxley, Founder and Director of Cornwall Food & Drink.